There are two basic types of account for a telecom service whether landline or mobile or internet. The two such accounts are prepaid and postpaid. There is also a hybrid account which is still not operational in most countries. The name itself is self-explanatory, which differs whether you pay for the service instantly or after some time. In prepaid, people have some balance in their account which will be instantly cut for the usage of the telecom service. Whereas in Postpaid, the usage will be accounted at the end of a month or similar period. After reading this post, prepaid vs postpaid, please comment below for your preference and the reason behind it. Coming to the point, prepaid vs postpaid. As the landline phones and some fixed internet services are postpaid only, we will now keep the discussion focused on mobile. Operators provide both of the mobile services to their customers. For prepaid, they only need to have some balance in their account and recharge after. For postpaid, customers need to commit for some fixed plan during the subscription and have some deposit in their account. The same plan will recur every month in the postpaid SIM card with the payable amount also called monthly rental. In prepaid, you cannot use the telecom service after using all of your balance. But in postpaid, you can still use telecom service (till some credits) for extra fees which will be added to the bill at the end of the billing cycle. Prepaid is mostly preferred by the people like students, laborers or who do not care about upgrading to postpaid. For normal people, the first SIM is always prepaid. Unless they feel about switching to postpaid for some features or their status, they will keep it to prepaid. Also, the mobile number may resist some to switch to postpaid. As customers don’t have to commit some fixed (usually higher) amount for network usage, tourists/visitors also use prepaid. The advantage with prepaid is you only pay for the amount of call that you use and pay on the go. That means you have complete control over your mobile expenses. Postpaid is mostly preferred by the business person, celebrities and those who use mobile network excessively. There are some who even feel, owning a postpaid number will make their social status higher. The first SIM for professionals, the business person is always postpaid. But passed out students when they enter into their working career, are also found to be switching to postpaid for new features and low cost with high paying. The advantage with postpaid is for the people who use network excessively, can get low cost per call. Even if you exceed the committed amount for a month, you can still use the network and pay the excess in the billing invoice at the end of the month. You don’t have to rush for instant recharge. Find the details of NTC postpaid SIM card. We have found several cases when people question operators for preferring postpaid over prepaid. In our country, prepaid users are higher than that of postpaid which is adverse to that of several other countries where people prefer a contract plan. In South East Asia, the prepaid mobiles are around 80 to 90 percent of total mobile subscribers. Whereas in developed countries in the west, postpaid or contract plan subscription is way high. There, several handsets are either found free or some minimal registration but need to pay some committed price regularly for either 1 or 2 years. In Nepal, operators have started collaborating with phone companies from some years to sell the phones together with free data packages. But, still it is not taking to a level as expected and the handset bundling is not subsidized as per people’s expectations. Most people here prefer prepaid as they can use the service whenever they want without any commitment for some fixed amount per month (rental). The monthly rental of NTC GSM postpaid is Rs 300, providing calls/data worth the price of 300 minutes call. The price of NTC postpaid SIM is also high, Rs 1510 as compared to that of Rs 90 of prepaid. Prepaid SIMs are more readily available anywhere in the local shops whereas for postpaid you need to visit their counters. Similarly, Ncell also has postpaid plans named pro plans for individuals. The Ncell postpaid plans start from Rs 300 to Rs 499 to Rs 999 with discounted tariffs. 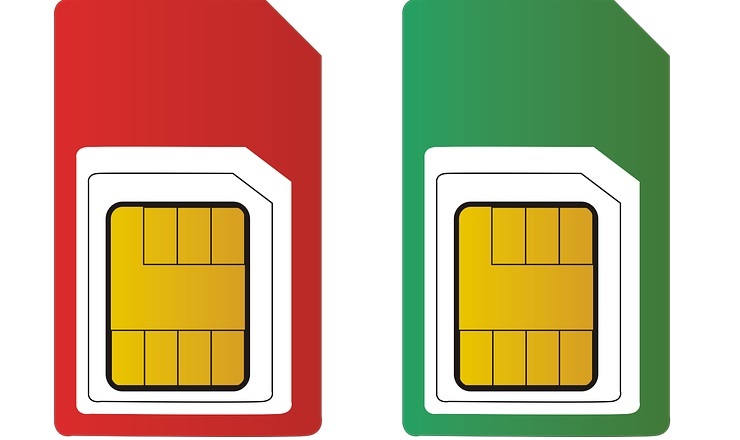 What do operators prefer: Prepaid or Postpaid? Operators prefer postpaid because they are the users who increase their average revenue per month. Especially in Ntc, some services are only available to postpaid users and the cost of the service is still less than prepaid. Their 98510 number is also thought of as a premium kind of number, preferred by professionals, business / corporate users. People having NTC postpaid are still believed as an upper class in society. That’s why some people still prefer 98510 number range, instead of 98511 or 98512. The recent CUG service in Ntc is only available for GSM postpaid, with unlimited internal calls. Similarly, the price of the voice call in Ntc postpaid is Rs 1 per minute whereas in prepaid, it is Rs 1.5 per minute. Ntc also launched their 4G service in Kathmandu and Pokhara with postpaid only at first. Later it was available to prepay. The international roaming for NTC mobile is also available only for GSM postpaid. Later when Mobile number portability (MNP) be introduced, there is no such distinguishing number range for prepaid and postpaid. People can use the same postpaid number for using prepaid. Or people can keep their number to make it to postpaid. Tell us, which one do you prefer or feel it is better: Prepaid vs Postpaid and why?